Electronic basketball that keeps your time and score. 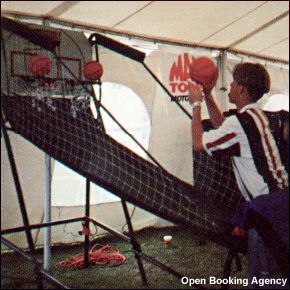 The double hoop allows for competition for all ages. 10 seconds left...Shoot for 3!